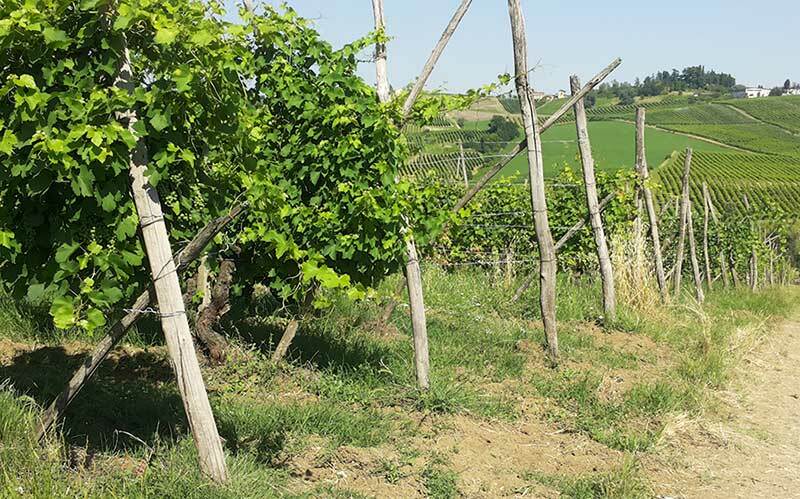 Our vineyards grow on the hills of Vicobarone (Piacenza – Emilia Romagna – Italy). Each vineyard has a name, that also become the name of the wine made from the grapes that grown in that vineyard. Each little piece of this land has particularities that make each wine really unique and unmistakable. 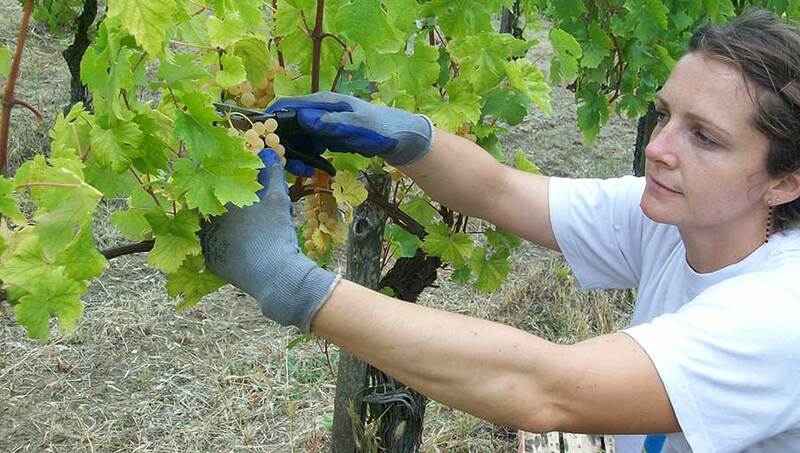 La Mula vineyard produces the grapes for our sparkling Bonarda wine, the vineyard called Casa Piccioni those for our traditional Colli Piacentini sparkling Gutturnio, the vineyard called Campana di Ferro the Barbera grapes for the corresponding sparkling wine. We choose to cultivate our vineyards without using chemicals. In deference to the plants and to people, we use only Bordeaux mixture (copper and sulphur: poltiglia bordolese), and all of our vineyards are left grassy. 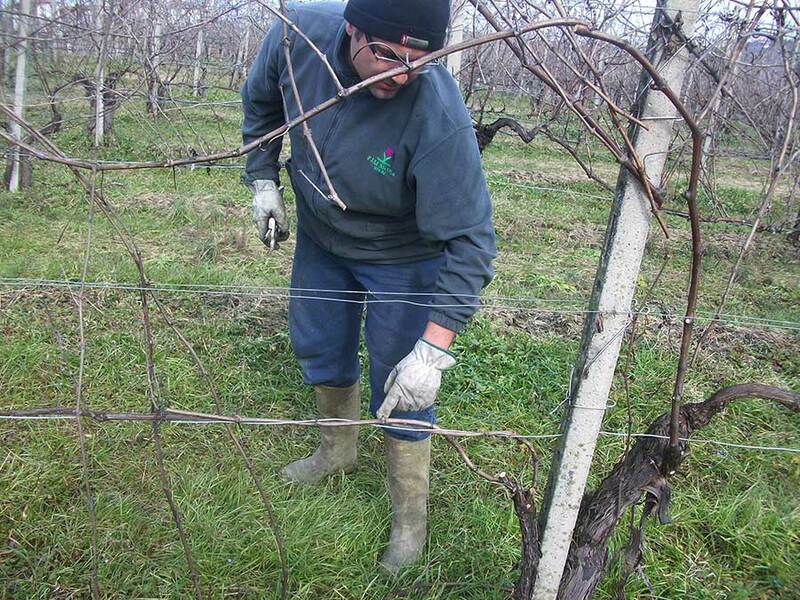 We pay particular attention to the pruning operation, an extremely delicate moment for our work in the vineyard, during which we not only decide the way the vine will grow to produce grapes, but we also aim at facilitating its growth.